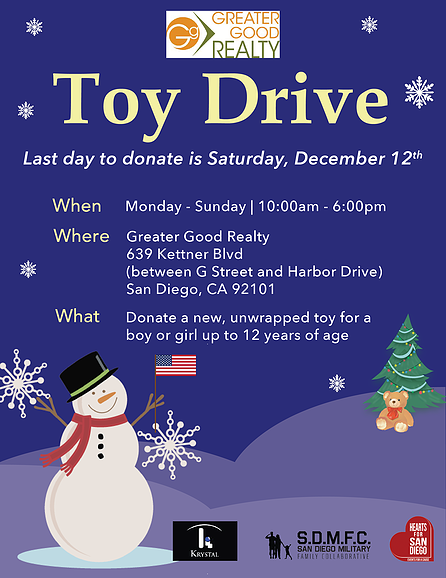 We’re partnering with Hearts for San Diego on a holiday toy drive to benefit children of military families. Hearts for San Diego mission is to connect and inspire communities to support local causes. Simply drop off a new, unwrapped toy for a boy or girl up to 12 years of age. All toys will be donated to the San Diego Military Family Collaborative at a very special event later this month. The SDMFC’s mission is to provide an inclusive forum to maximize the collective impact of community resources to enhance military family life.